By evaluating potential widening and intersection alternatives—and ultimately designing—Virginia’s first Superstreet for Route 10, an urban principal arterial, McCormick Taylor increased community safety and eased local traffic. 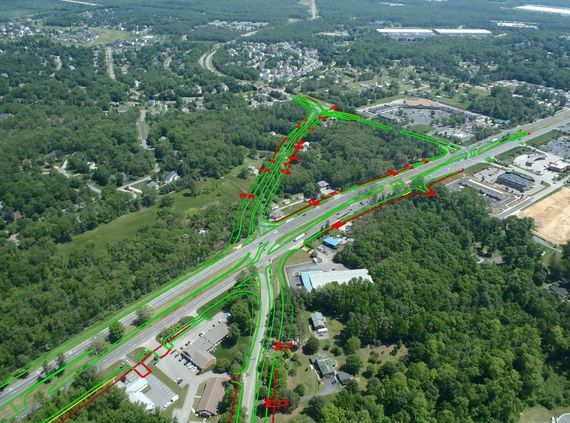 A four-lane divided highway serving nearly 44,400 vehicles daily, Route 10 is a crucial Chesterfield County transportation link, providing the area’s only connection to I-95 and I-295. Serving a mixture of residential, commercial, and industrial development, the corridor has experienced rapid traffic growth. With many local industrial developments, Route 10 is an important truck route. This project provides additional capacity along the corridor for large-scale developments and a proposed technology center to meet expected traffic volume exceeding 105,000 vehicles daily by 2036. Choosing this innovative Superstreet intersection design eliminates thru and left-turn movements of the minor cross-streets, reducing signal phases as well as increasing major movement efficiency and flow. McCormick Taylor analyzed innovative intersection treatments, working with stakeholders to determine that a Superstreet would best accommodate the existing and projected traffic volumes—at less cost than a traditional continuous flow intersection or flyover bridge. McCormick Taylor provides for all public involvement, VISSIM and Synchro traffic analysis, roadway design, utility coordination, MOT/ sequence of construction plans, water/sewer relocation design, traffic signal plans, drainage, NEPA permitting, and air quality analysis. 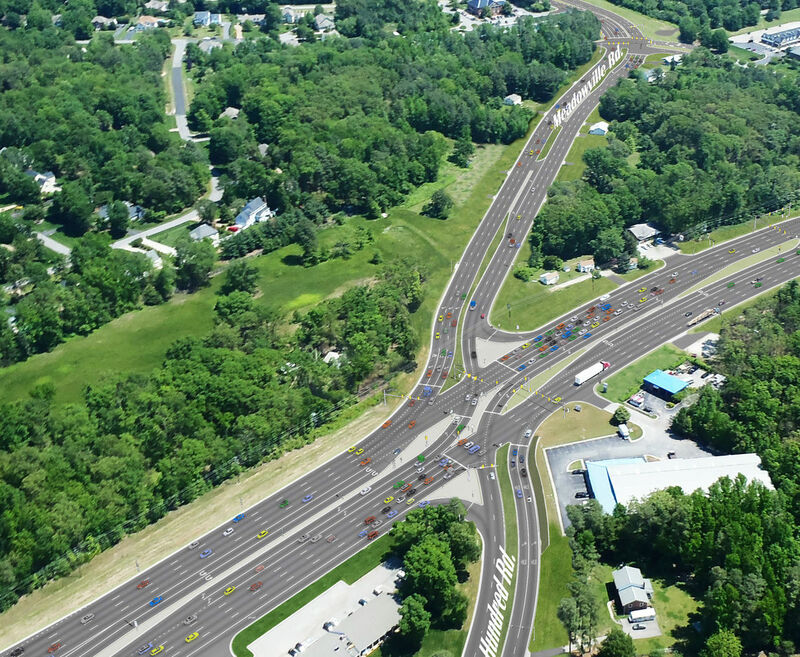 The completed project will widen Route 10 from four to eight lanes from the intersection at Bermuda Triangle Road to the intersection at Rivers Bend Boulevard, upgrade Meadowville Road from two to six lanes, improve the link from I-95 to I-295, and relieve the current congestion. Construction is estimated to be complete in 2020.